“The first thing the servant will be asked about on the Day of Judgement is his prayer. If it is satisfactory he will be triumphant and successful. If it is otherwise he will fail and lose out.” (Tirmidhi). The prayer is of paramount importance to every Muslim. Yet, despite its importance, it is not something that is easily fixed or perfected. It requires time and study. 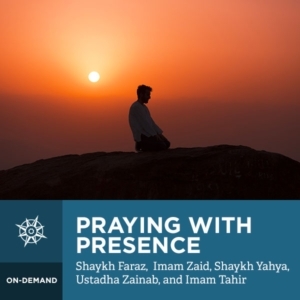 This short course is the perfect place to start the important journey to perfecting your prayer.